The vast variety and amazing quality of French cheeses is world renowned. And while each region in France has their own specialty; most small makers ship samples to Parisian “fromageries” or charming cheese shops. During a trip to Paris, dedicate an afternoon to sampling obscure cheese selections from around the country. You’ll find that shop owners often know the history behind each and will happily provide plenty of background. It’s a fantastic way to do a tasting tour all in one stop! 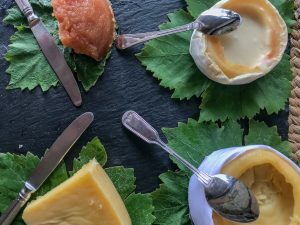 During a recent trip to the Duoro Wine region in northern Portugal it seemed every wine maker had their own favorite local cheeses to pair perfectly with their wine selection. Each tasting immersed us into the flavors of the region and really showcased how “what grows together, goes together”. Traditional cheese board accompaniments are another fascinating thing to note and sample when you travel with everything from honey to mustard and dried fruit being commonly seen. Here in Northern Portugal, fresh harvested and roasted almonds and a seriously unique and delicious Pumpkin Jam or “Doce de Abobora” was served with just about every cheese selection. No matter where you travel, be sure to pick up fun cheeseboard accompaniments to enjoy back home! For inspiration check out our Top Tips for Spring and Summer Cheeseboards. 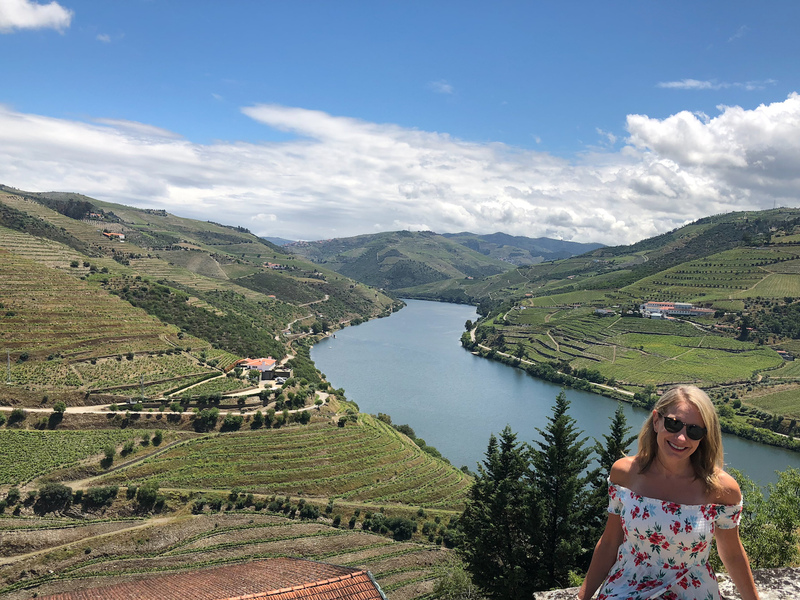 I enjoyed while exploring the Duoro Wine region. Italy’s cheeses are widely beloved from Parmesan Reggiano, Mozzarella, Ricotta, Burrata, Provolone, Pecorino, Asiago, Mascarpone, Fontina, Grana Padano, and so many others. Why not set aside time during your trip to Italy to take a cheese-making tour in Parma or watch fresh mozzarella being pulled by hand in a small Naples shop. Tip: If there’s no travel in your near future you may be able to see fresh mozzarella being made at a local shop or culinary school -trust me, it’s mesmerizing! Even more fascinating is Italian Burrata which translates to “buttered. To make this cheese, artisans start with mozzarella curd that is formed into a pouch. They then stuff the pouch with stracciatella, or strings of mozzarella that have been soaked in heavy cream. The top of the pouch is tied in a knot to keep the gooey insides from oozing out until you slice or bite into it and send the buttery goodness free. If you haven’t tried burrata yet, be sure to check out our recipe for Burrata with Balsamic Glazed Plums! There’s nothing like a burst of fire at the table to get everyone’s attention! And Greek “flaming cheese”, also called “saganaki” for the small metal dish it’s typically served on is no exception. A firm Greek cheese such as imported Halloumi is fried, doused with brandy or ouzo, and then briefly lit on fire in this melty, delicious, dish. This tradition actually originated in Chicago’s Greektown in the US in the 1960’s but has actually spread back to Greece as a fun and festive appetizer. If you haven’t sampled Halloumi yet you can learn more here! Sure, you’ve probably enjoyed cheese fondue at one time or another -but have you ever experienced the joy of a warm melty Raclette? Raclette comes from the French word that means “to scrape” and refers to both the type of cheese and the traditional Swiss dish it is served with. Cheese legend says the dish originated as far back as the 1200’s when roaming dairy farmers would heat up a piece of cheese over the open fire for a hearty and filling meal. Raclette is still produced with milk from cows that are fed fresh grass in the summer and meadow hay in the winter, resulting in an aromatic cheese ranging in flavor from mild and milky to piquant, depending on the wheel. It’s served in both the Swiss and French sides of the Alps – often in the center of the table on a “raclonette” designed specifically for melting and serving on potatoes, charcuterie, or bread or dramatically scraped directly from a large wheel onto your plate tableside. Bring your appetite! Each year Dutch companies ship tons of Gouda, Edam, and more to appreciative cheese lovers around the world, making the Netherlands one of the largest exporters of cheese. But did you know the small country is home to several cheese museums, including the Amsterdam Cheese Museum and the Hollands Kaas Museum in Alkmaar, which started selling cheese all the way back in 1365! Amsterdam is another perfect place to deep-dive into the world of cheese, or as they call it, “kaas”. Various cheeses are even celebrated in the form of curated markets, from the Gouda Cheese Market in South Holland, to the 400-year-old Alkmaar Cheese Market in Amsterdam, and the Edam Cheese Market in the North. After one of these experiences you’ll come home even more educated and in love with imported cheeses!